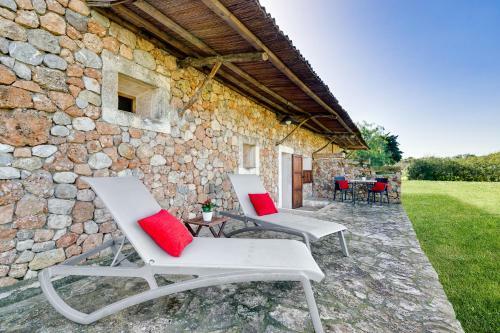 Agroturisme Son Pons in Búger is a farm (house) with 11 Rooms. 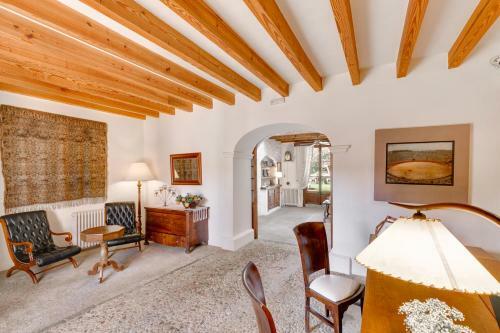 Agroturisme Son Pons is a converted 16th-century building, which features the original patio and rustic architectural details. 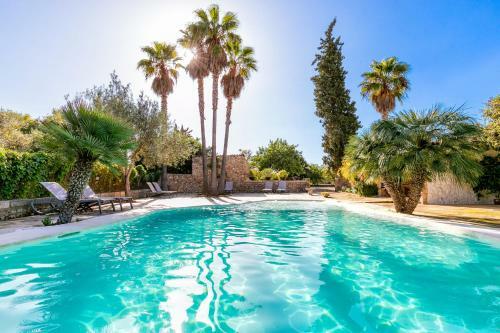 Set in gardens, the hotel offers an outdoor pool, free Wi-Fi and free parking. 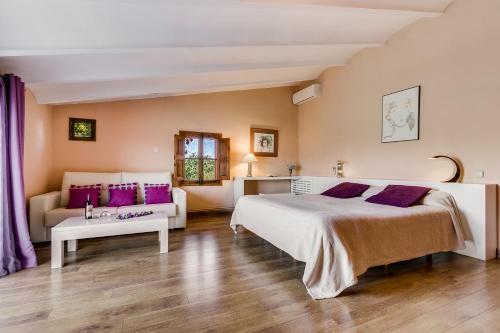 Located 3 km from Sa Pobla, in north-eastern Mallorca, the hotel is within a 20-minute drive of the S’Albufera Nature Reserve and beaches of Alcudia Bay. 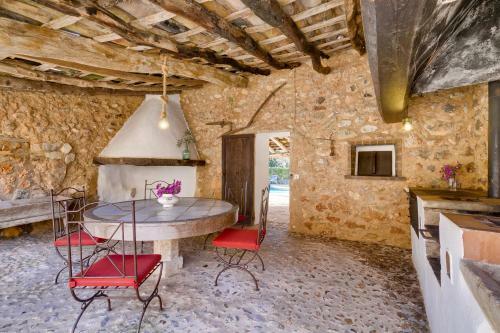 Featuring wooden beams and stone walls, air-conditioned suites have a living room with a sofa and flat-screen TV. 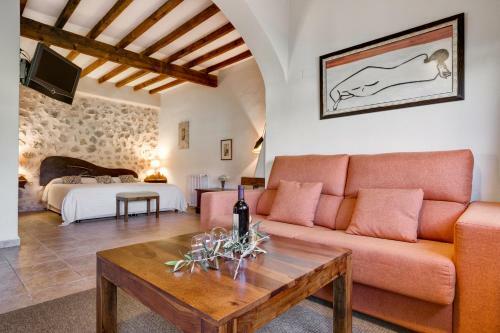 There is a safe, minibar a...nd private bathroom with a hairdryer and amenities. Breakfast is available in the hotel restaurant. There is also a garden terrace snack bar and vending machines for drinks. Massage is offered for an extra charge, and there is a concierge service and tour desk. 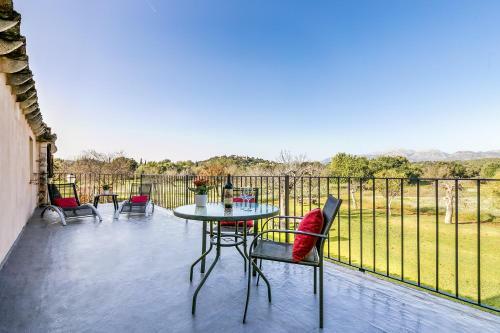 There is easy access to the MA13 Motorway and Palma Airport is 45 km away. 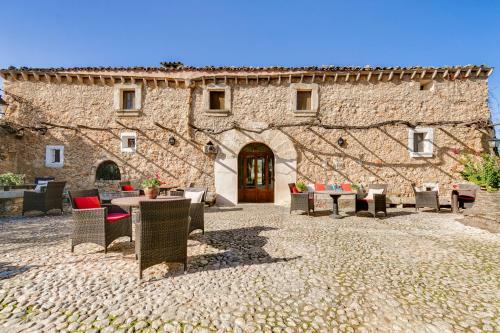 Agroturisme Son Pons is a converted 16th-century building, which features the original patio and rustic architectural details. 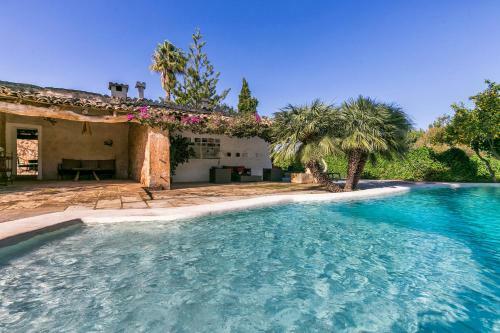 Set in gardens, the hot...el offers an outdoor pool, free Wi-Fi and free parking. 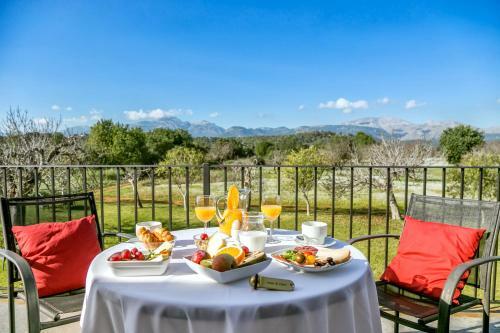 Located 3 km from Sa Pobla, in north-eastern Mallorca, the hotel is within a 20-minute drive of the S’Albufera Nature Reserve and beaches of Alcudia Bay. 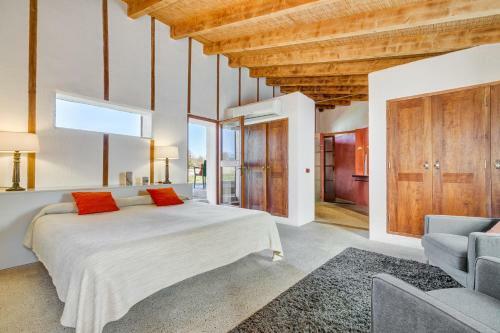 Featuring wooden beams and stone walls, air-conditioned suites have a living room with a sofa and flat-screen TV. 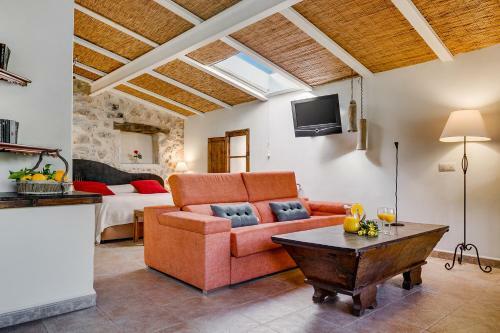 There is a safe, minibar and private bathroom with a hairdryer and amenities. 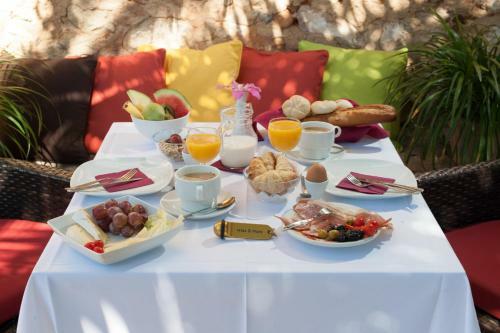 Breakfast is available in the hotel restaurant. There is also a garden terrace snack bar and vending machines for drinks. Massage is offered for an extra charge, and there is a concierge service and tour desk. 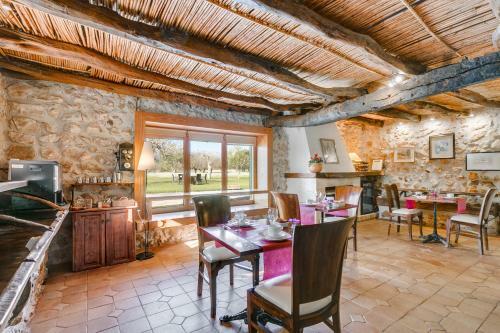 There is easy access to the MA13 Motorway and Palma Airport is 45 km away. 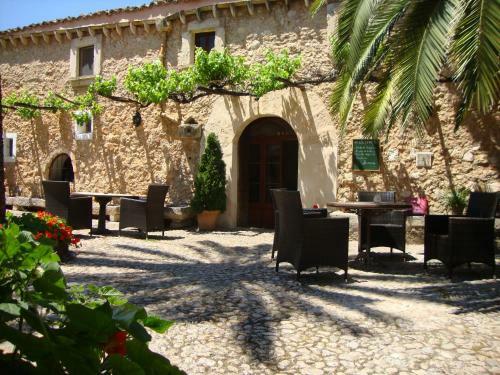 When would you like to stay at Agroturisme Son Pons? 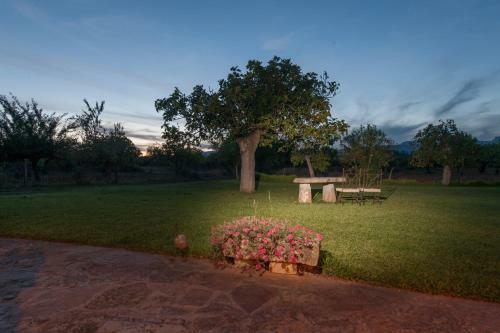 Please inform Agroturisme Son Pons in advance of your expected arrival time. You can use the Special Requests box when booking, or contact the property directly with the contact details provided in your confirmation. Guests are kindly requested to inform the hotel in advance of their estimated time of arrival. This can be noted in the Special Requests Box during booking, or by contacting the hotel using the contact details found on the Booking Confirmation. The restaurant is closed from 1 November to 31 March each year. Rooms are cleaned everyday.